Dane Technologies is a leader in creatively addressing ergonomic and logistic challenges in the workplace through innovative power assist and mobility solutions. 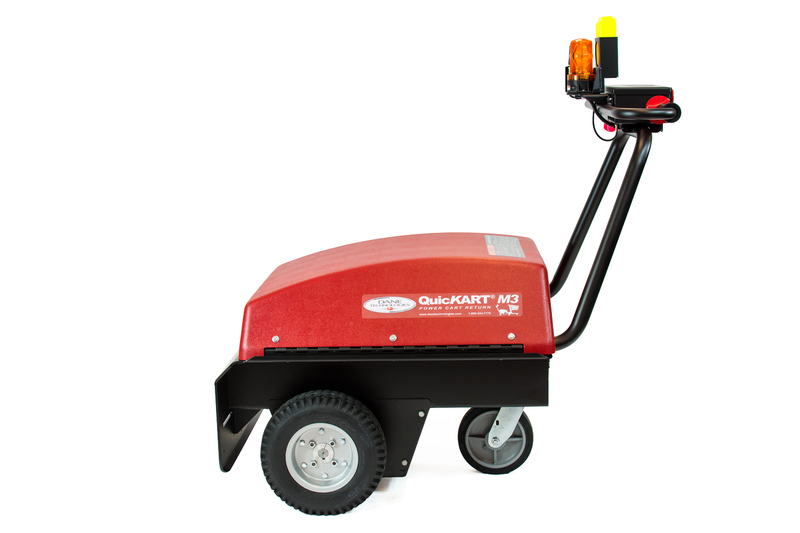 Founded in 1996 with the creation of the first mechanized shopping cart management system, the QuicKART®, our reputation is built on market-leading standards for safety and efficiency, and solutions that deliver the greatest ROI in the industry. 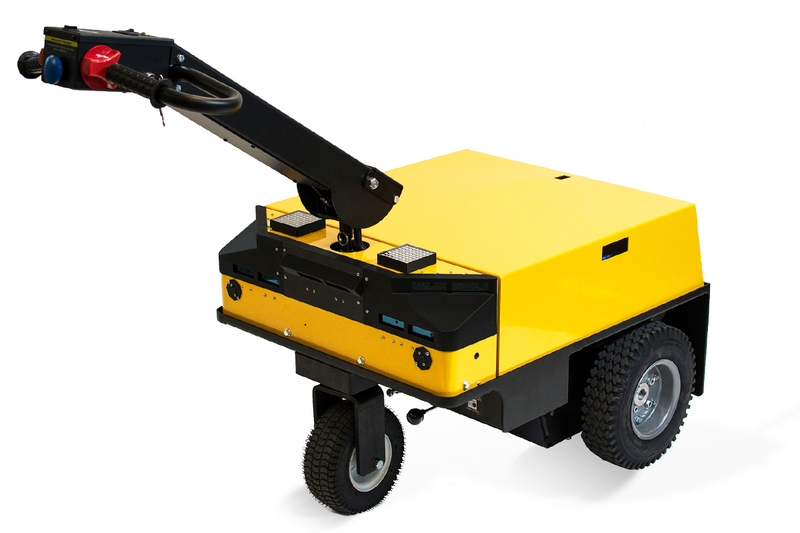 Implement an automated workforce of self-learning, high capacity, adaptive towing vehicles for a fraction of the cost of other robotic or AGV solutions. No need for complex systems or additional infrastructure—the PowerPal Co-Pilot starts work immediately; optimizing any environment where transport logistics are a part of the workflow. 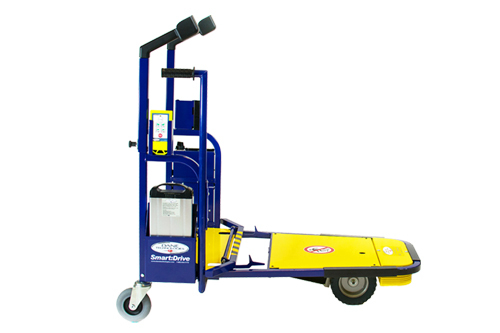 The Smart:Drive attaches to a wide range of flatbed carts and moves up to 440 lbs (200 kg) of product in warehouse, retail, and order fulfillment environments. Featuring patented safety features and an optional ride-on sulky, the Smart:Drive operates independently or in cooperation with the Smart:Rack to create the Smart:System, the most safe and efficient pick-and-pack order fulfillment system on the market. 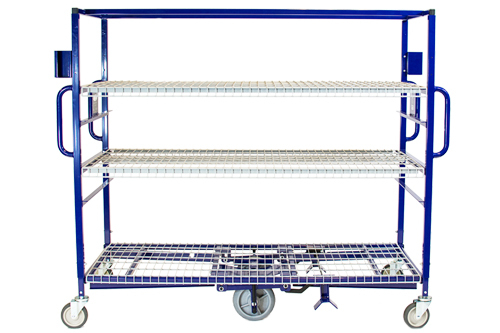 The M3 increases cart return productivity by 100%, allowing safe and easy management of up to 35 nested shopping carts at once. Featuring the most extensive warranty in cart return and patented safety features. 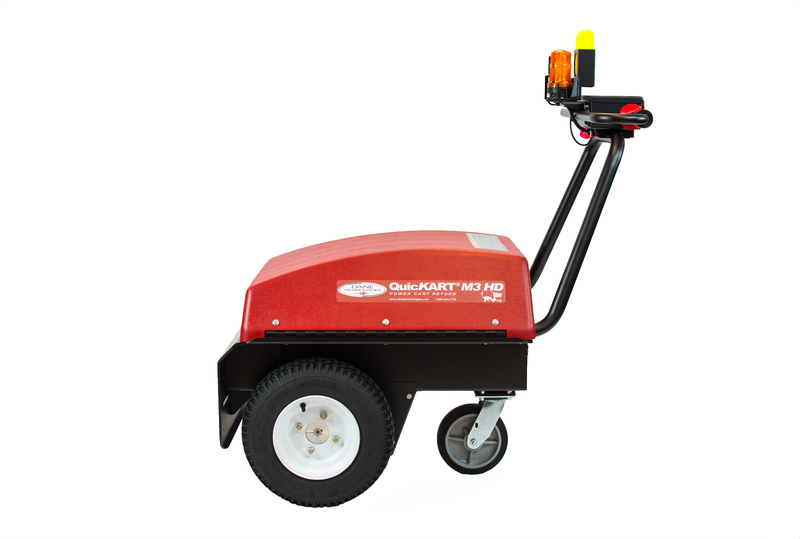 With heavy duty performance features including a 1.75 hp brushless motor and purpose-designed transaxle, the QuicKART® M3 HD pushes up to 35 heavy-gauge steel nested shopping carts, trolleys, and roll cages in extreme conditions. 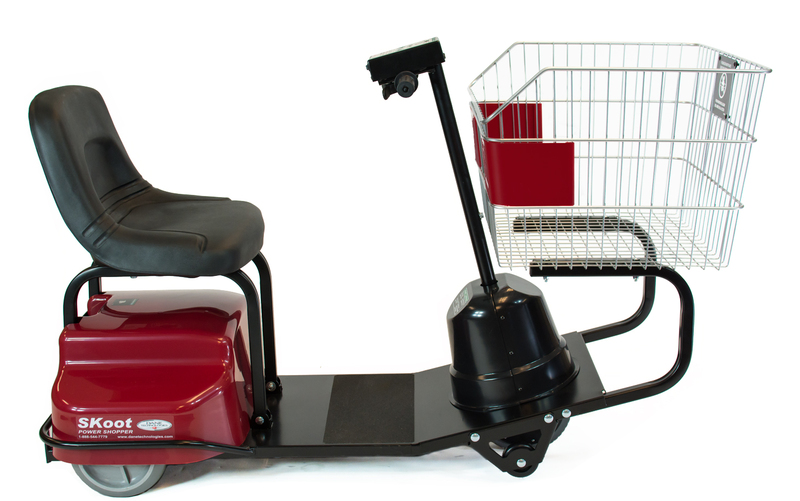 The lightweight SKoot offers assisted mobility retail guests outstanding safety, comfort, & maneuverability. Features include: Automatic Dynamic Braking, a 30 in turning radius, innovative stability technology, and 700 lb (320kg) capacity. 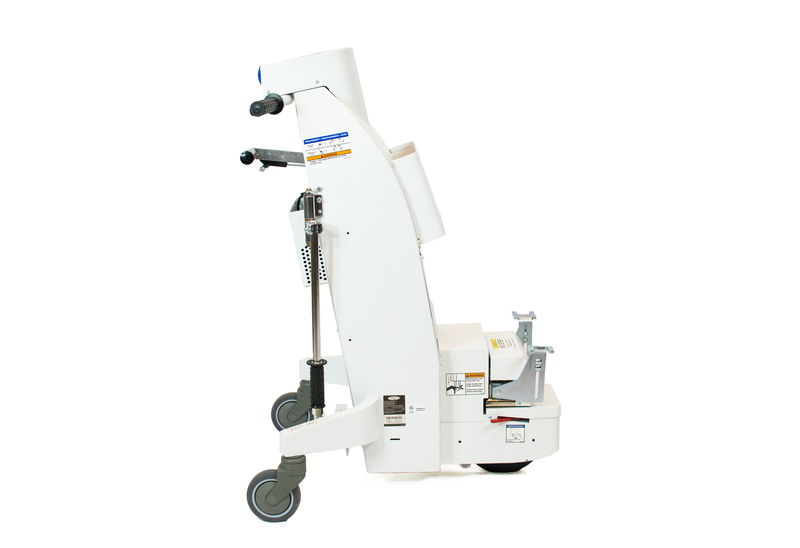 FDA approved & UL-Certified the WheelChair Mover is designed in partnership with hospital safety experts. Features include a whisper-quiet drive, no-mar tires, and ergonomic design capable of moving individuals up to 750 lb. 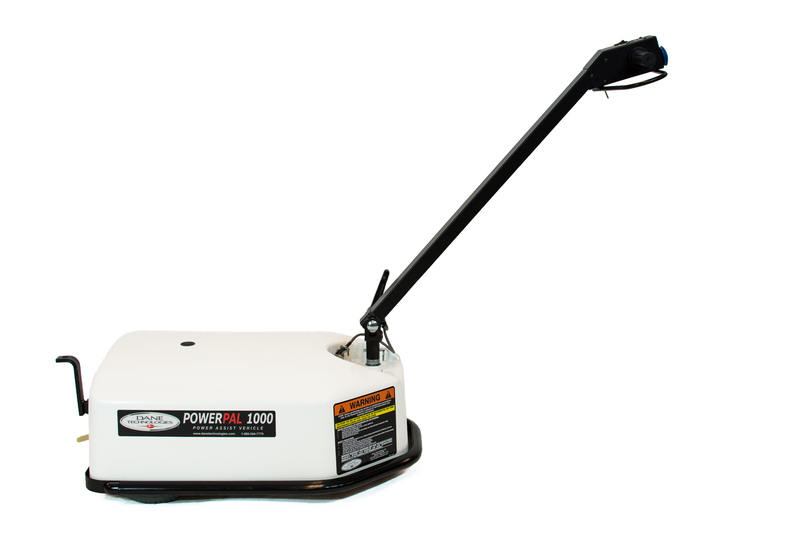 UL Certified & FDA Approved, the PowerPal 1000 safely moves loads up to 7,000 lb. through tight spaces and professional or healthcare settings. Advanced safety features include Automatic Dynamic Braking & Emergency Stop. 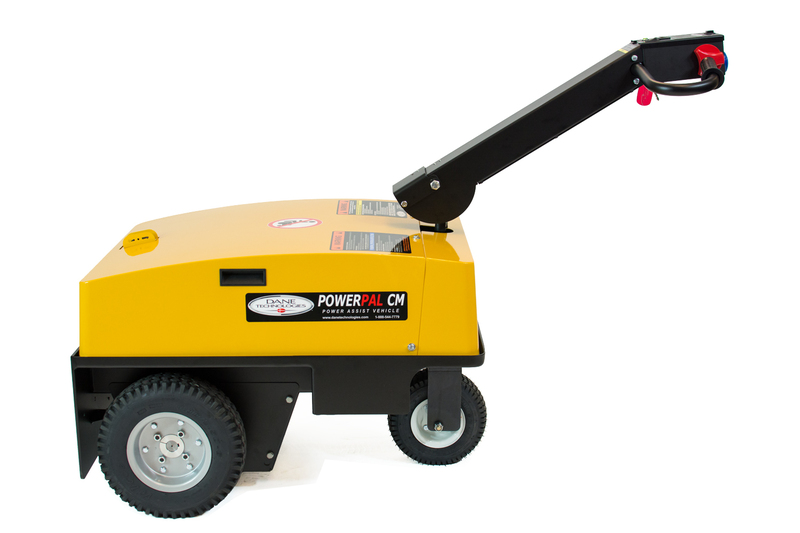 PowerPal CM features 18,400 lb capacity, ergonomic design & advanced safety engineering to deliver outstanding safety & productivity gains. Best in class features: dual-mode tiller steering, Automatic Dynamic Braking System, & Burst Mode. 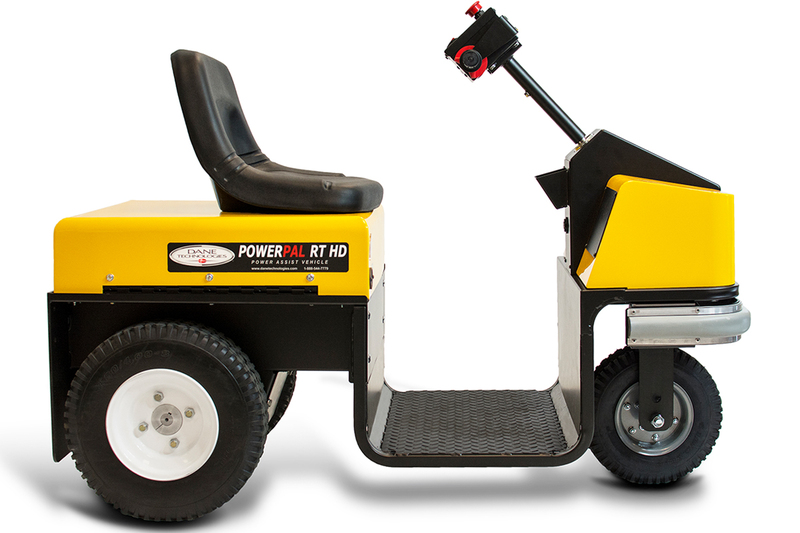 The PowerPal RT is a compact, powerful, rideable tug built for indoor or outdoor use. Capable of towing up to 20,000 lb (9,071 kg), the RT is configured as either a seated or stand-up model, with a wide variety of hitching options and configurations. Camera-based guidance transforms the PowerPal into a “trainable” Vision Guided Vehicle (VGV) that learns by driving the routes in manual mode. The VGV will build a map, learning routes and waypoints that can be selected using a hand-held interface. 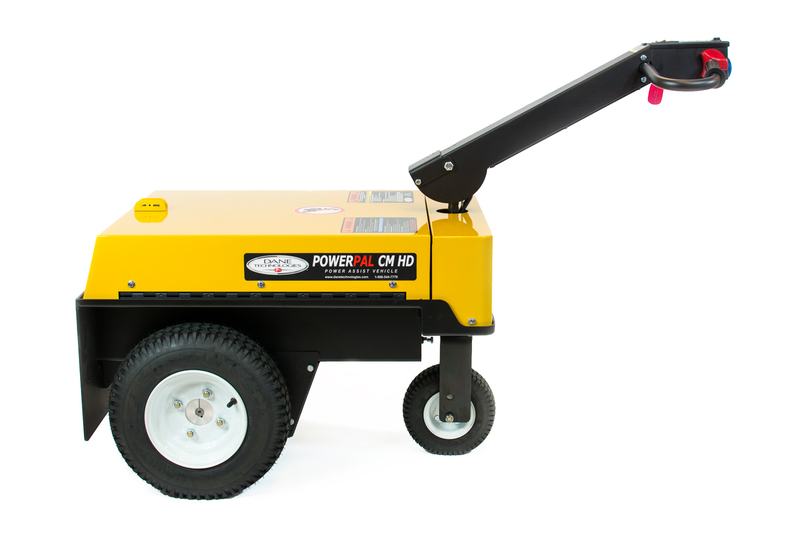 Featuring a 1.75 HP motor, this heavy duty upgrade to the PowerPal CM delivers up to 20,000 lb of capacity with advanced safety and ergonomic engineering. Best in class features: dual-mode tiller steering, Automatic Dynamic Braking, & Burst Mode. Ergologistic design, purpose-built transaxle, and 1.38 HP motor move industrial loads up to 18,400 lb. 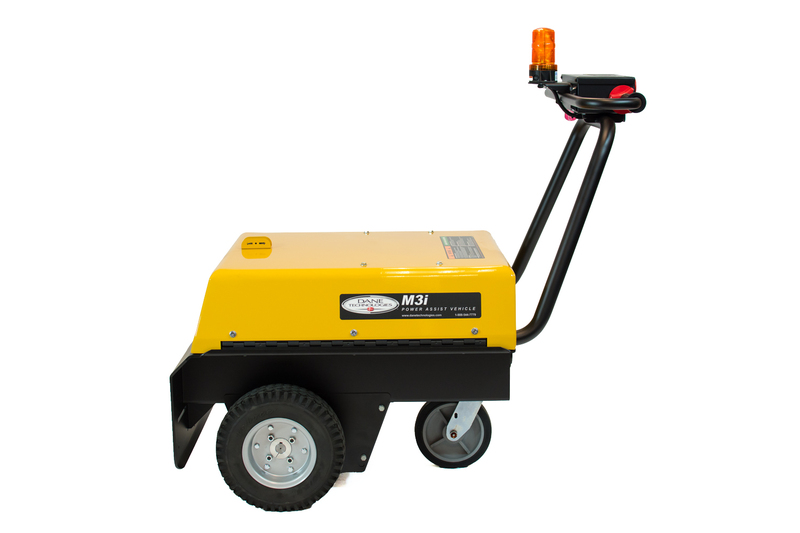 Powerful engineering and advanced safety features increase efficiency and safety in industrial-grade work environments. 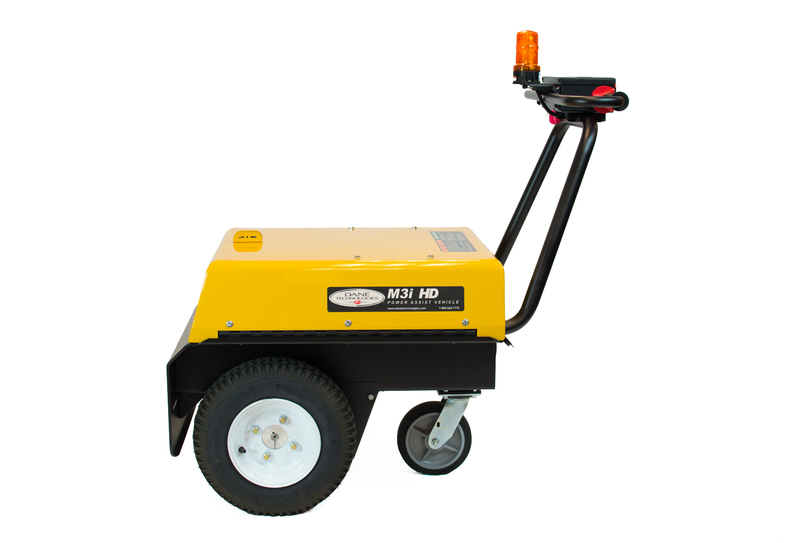 Built with ergonomic design and a powerful 1.38 hp motor easily moves industrial loads up to 18,400 lb, while the adjustable, spring-loaded 5th Wheel Hitch mechanism provides outstanding maneuverability & control over large loads. 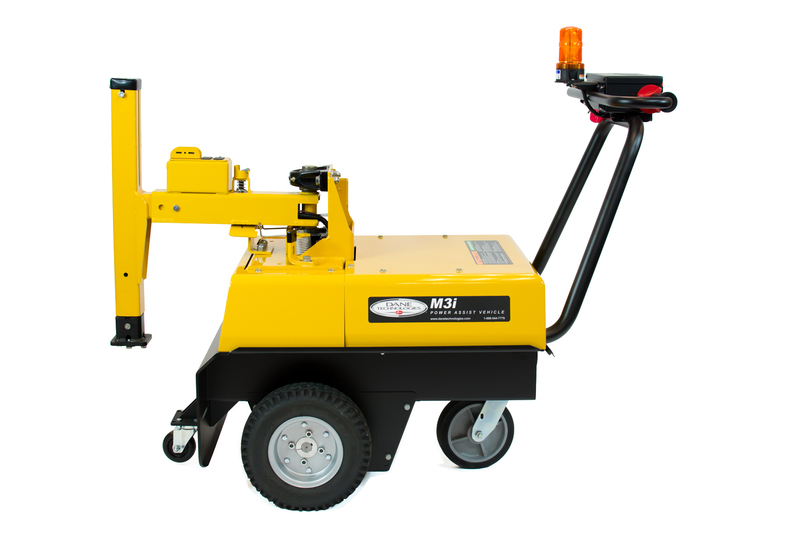 Featuring a 1.75 HP motor rated for up to 20,000 lb, the M3i HD & M3i5 HD are the highest-capacity platforms in the Dane lineup. Best in class features include an optional 5th wheel hitch, advanced safety engineering, and ergonomic design. 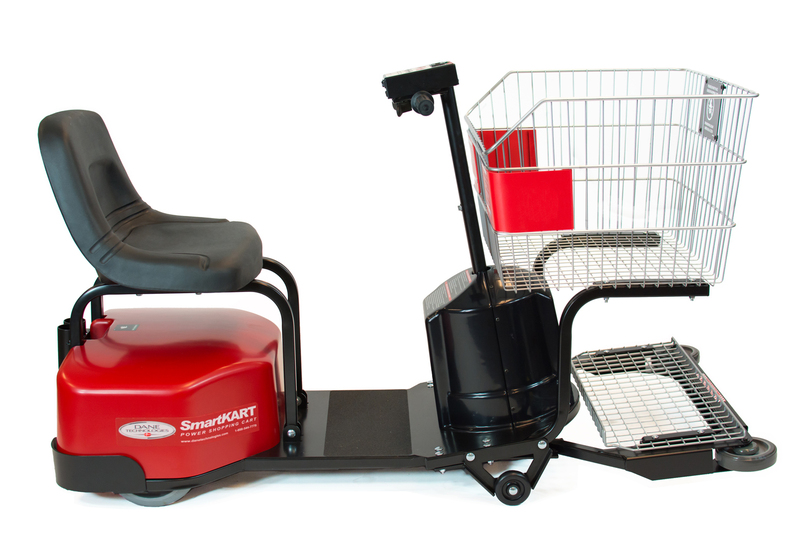 The Smart:Drive is an independent drive system interchangeable with a variety of flatbed carts & trolleys up to 440 lbs. Together with the Smart:Rack, the Smart:System revolutionizes safety & efficiency in order fulfillment. 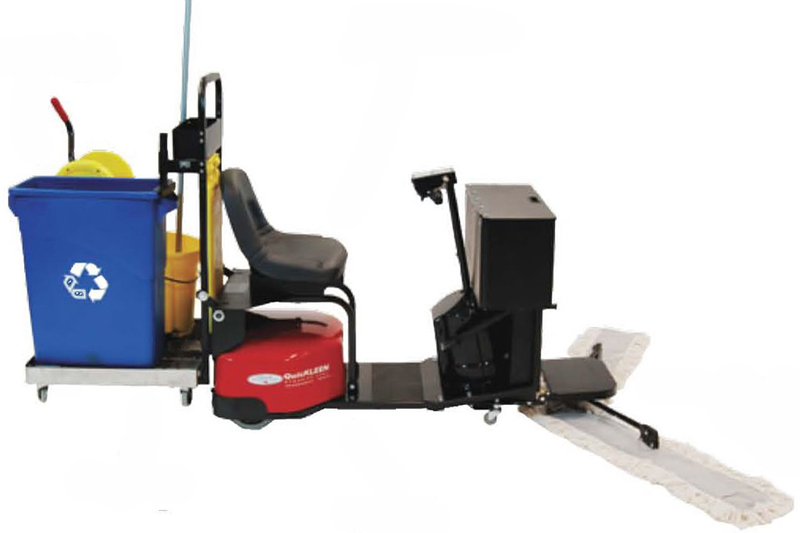 Our multi-modal cleaning platform allows the user dry mop, broom and vacuum large areas, collect trash, distribute cleaning supplies, and carry a mop and bucket with unprecedented speed and efficiency. You want a safe and efficient workplace. At Dane Technologies, we are committed to helping you achieve that goal. Industry leading quality doesn’t stop with the design of our solutions – it extends to product rollout and post-sale support. With that kind of commitment, it’s no wonder that Dane is consistently rated by our clients in the top 5% of preferred vendors for outstanding service. Read below to find out how we stand apart from the competition in partnering with our clients. Dane Technologies provides free consultations to collaboratively assess your ergologistic needs and goals. When required, our customer representatives will visit your facilities, project productivity and safety returns, and recommend best practices for implementing our solutions. After your consultation and site assessment, you may qualify for a free product trial. Contact an account representative to learn more! We collaboratively design your rollout strategy, and with every sale we provide training materials, a certified operators program, and best practices guidelines to ensure your team achieves your productivity and safety goals. At Dane Technologies, we engineer our solutions with purpose-designed components, and we back them with the most extensive warranties in the power assist industry. Our service call center is available 24/7, and our network of service and distribution professionals spans 28 countries with over 270 providers in North America. Our service parts team provides 95% same-day parts shipping, allowing all of our solutions to deliver the greatest up-time in the industry. To partner with Dane Technologies, fill out the form below! Please fill out a form below to contact a Dane representative. You may also detail below the quantity, part number, and description of parts required. Is the service address the same as the one provided above? Are the status lights flashing? If so, which status code is indicated?